Colour can be matched to your pms colour (MOQ 1000). 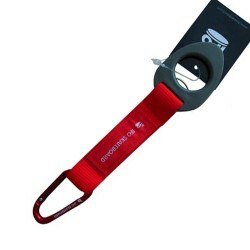 If your business revolves around water, our Neoprene short strap is a great promotional item for your customers and staff. 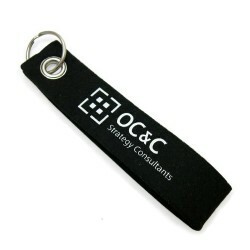 Neoprene will stand up to almost any use and with the quality materials used in the short strap, this makes a great option for a branded key ring. Our Neoprene short strap is available in a range of bright colours including green, orange, blue, pink and yellow and comes with an included O-Ring. 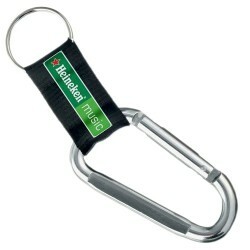 There is a great sized print area of 127mm x 9.8mm giving you ample space for your branding or promotional message. 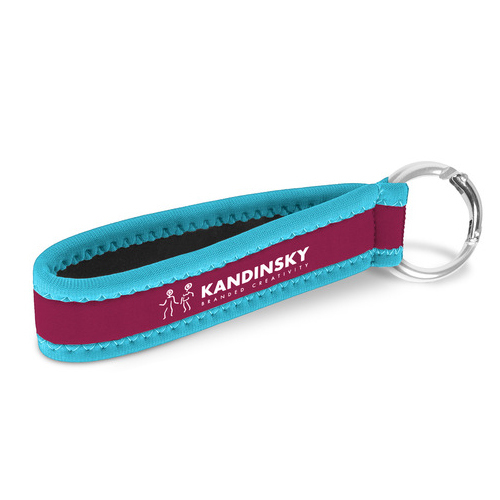 One great benefit to our short straps is the option to print on both sides, giving you the opportunity to showcase multiple products or brands. Our Neoprene Short Straps are a great option for any business, and will perfectly suit customers and clients who work in and around water, ensuring their keys stay dry after a day of work. 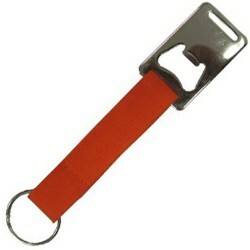 If you’re after a good quality promotional short strap, our Neoprene Short Strap is a great choice.